Home › Quotes › 37 To have a dream is to see the future. 37 To have a dream is to see the future. 37 To have a dream is to see the future. 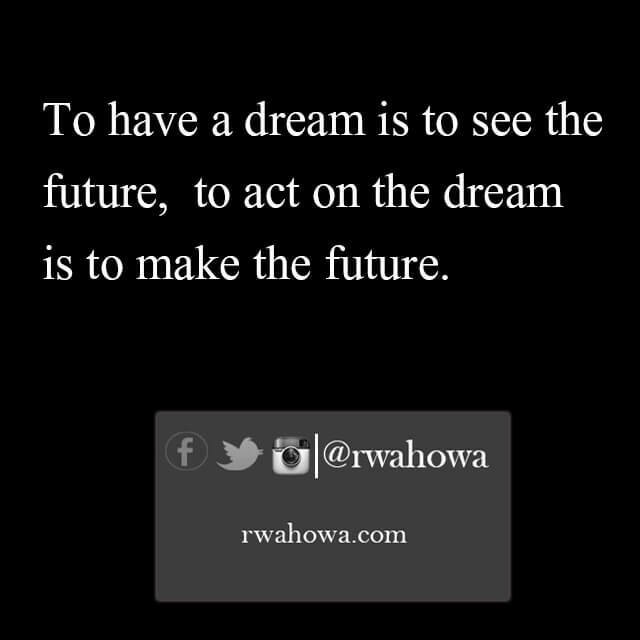 To act on the dream is to make the future.